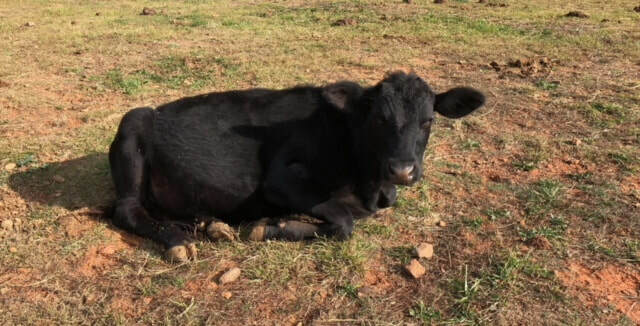 SYLVIA arrived at Full Circle in the summer of 2016, after being saved from a trip to the livestock auction where she would have been sold to the highest bidder. Sylvia was pregnant when she arrived at Full Circle. 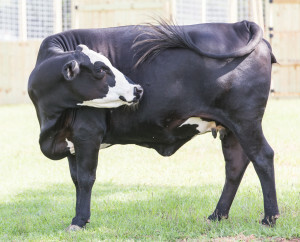 A few short months later she gave birth to a beautiful calf named Scarlett. Although, Sylvia previously had two other calves, this was the first time she was able to keep her baby and provide her with love and nourishment. Unfortunately, due to Sylvia’s prior experiences she had grown to be very untrusting of humans. Since settling in with the Full Circle family, she has gradually come to understand that she is now in a safe and peaceful place. Sylvia’s future will forever be filled with love and compassion. BREAH arrived at Full Circle in February, 2018 with her son KELSEY. The pair have settled in nicely here at their new loving, lifetime home. 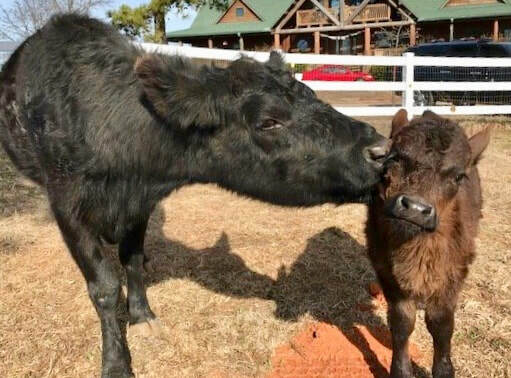 Breah, who is blind in her left eye, is a wonderful, doting mom, and Kelsey is enjoying bundles of attention as the youngest calf in the Full Circle family. JUPITER and VENUS! Spared from being sent to auction by a kindhearted person who intervened on their behalf and contacted Full Circle to provide them a forever home. The both have become quite comfortable with the rest of the heard. Jupiter is very sociable and often can be found grooming his friends or saying a quick hello to staff and volunteers. Venus has become quite comfortable with the rest of the herd and is living happily with her new family at Full Circle Farm Sanctuary!